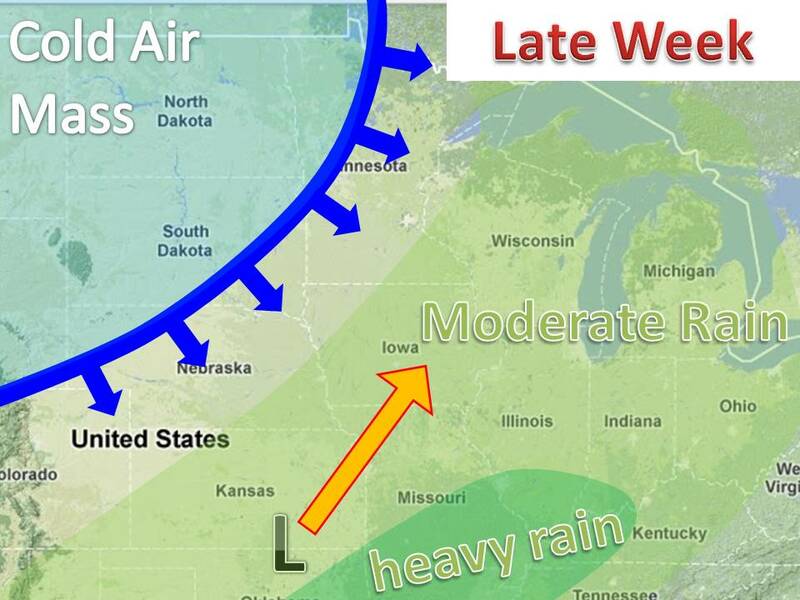 It is looking more and more likely that late this week will be a tale of two storms, weatherwise. Before the storm move in a January thaw will occur with temperatures soaring into the 30s and 40s, with highs 10-20 degrees above normal for the whole midwest. Then, the first storm will move in ahead of an arctic front. It appears the storm will be quick enough to avoid the cold air and drop mainly rain in the Midwest, with heavy rain to the south. This will even more some weaken the snow pack in areas to the north. Then only a couple days later attention will turn to the next possible system. 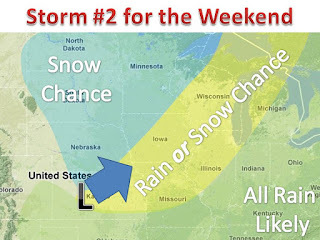 One problem is models do not always do a good job when there are two storms within a few days, so uncertainty is low. 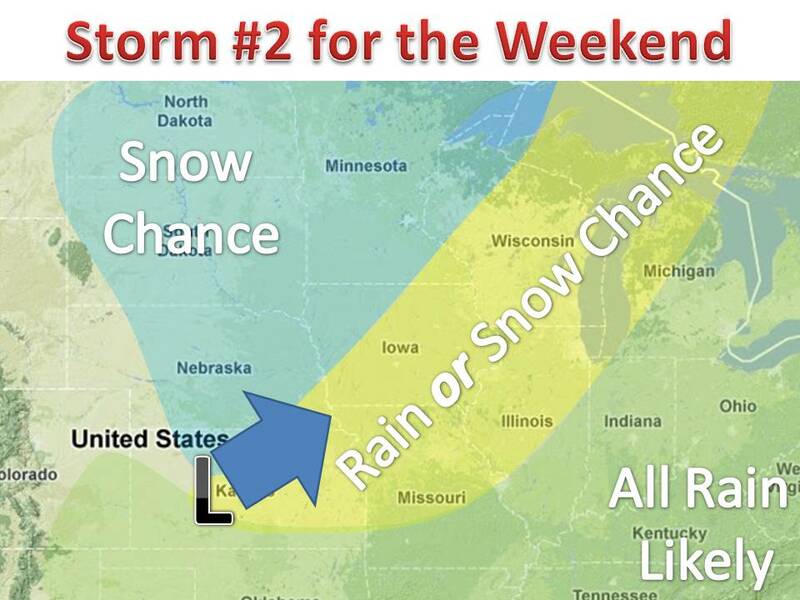 However, a area a of heavy snow is possible from MN to WI to IA. The timing would be Saturday into Sunday. We will keep an eye on this system as it bears watching. A lot to work out of the next few days, stay tuned!